We were unable to do any of the activities as my daughter has a knee injury and is in a brace, but I do know that once she is healed completely, we will be back to check it out. 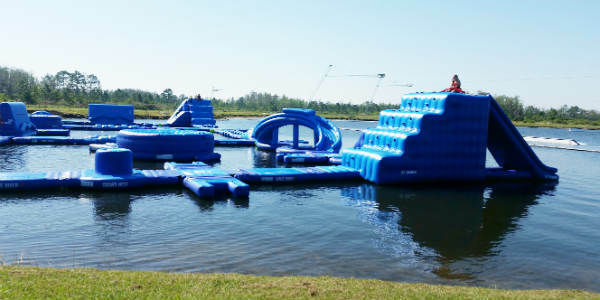 It looks amazingly fun! There is a registration process to begin the day’s experience. We created an account already to make it easier for when we can actually do things. Paperwork and releases have to be signed before anyone can play. Safety is emphasized at the Nona Adventure Park. Life jackets and climbing harnesses are provided for guests, and lifeguards are on the courses to assist and for safety. 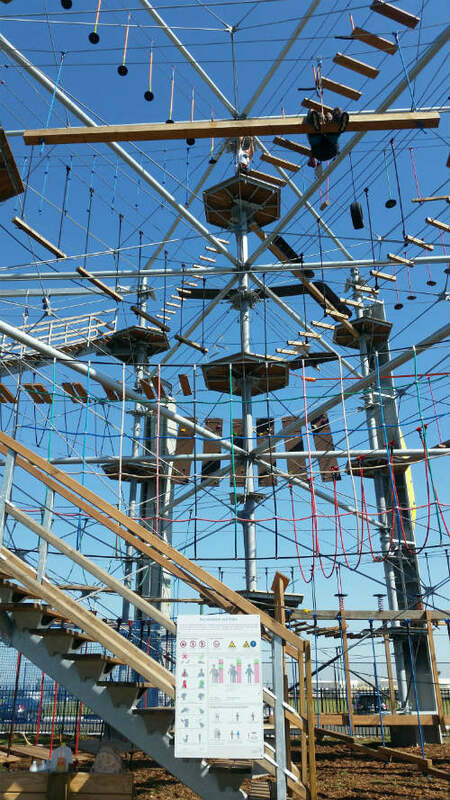 I’m terrified of heights, but am considering actually facing that fear and doing the park’s ropes course. I think I’m nuts, but it does look fun. In a terrifying way. They have a course for the little kids too. The ground level of the tower is dedicated just for them. The water skiing demo was exciting to watch. They make it look so easy. 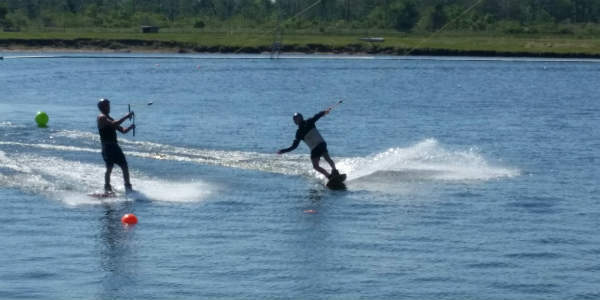 It has been many years since I have even attempted to waterski. I do believe that it would be worth completely embarrassing myself to try it…I make no promises though. 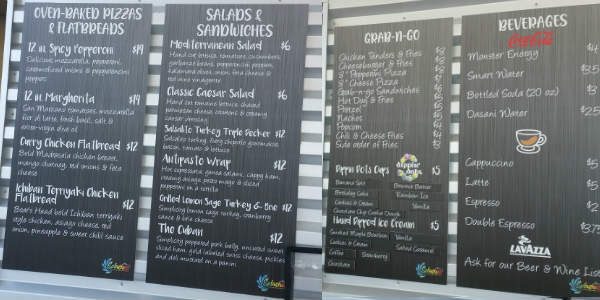 The snack bar menu also looks good, and they offer a good selection of beer and wine for those 21+. We didn’t have a chance to try any of it but we will next time. If you are looking for something new to try, check them out. They just opened and it really does look like an entertaining place for all ages. They offer group rates as well. Their website is nonaadventurepark.com. Phone is (407) 313-2907.